Would you like to reduce the leading cause of work absenteeism, increase productivity and have a happier workplace? By using innovative resilience training, stress management training and stress management techniques your organisation could benefit from reduced absenteeism, error-rate and staff turnover. Put simply, less stressed employees with greater resilience are happier, healthier and get more done. In the UK, aside from the ethical and business imperatives of tackling stress, there’s a legal one too. We can help you meet the UK HSE requirement to conduct a stress risk assessment and reduce stress at work. We use a highly interactive training method that really sticks and have worked across a large range of sectors from banking to health-care to war-zones for the last six years. See details of the content our stress management courses or contact us to find out how how controlling stress and stress management can help your organisation. Our stress management courses, business meditation courses , wellbeing training and resilience training courses have far-reaching benefits. They not only reduce current work stress levels, but build the capacity to manage future stress and “bounce back” from pressure, so reducing the risk of burnout. An Integration Training stress course not only offers new knowledge, but also shows how to apply it in the real world and build coping skills and resilience whatever the pressure. 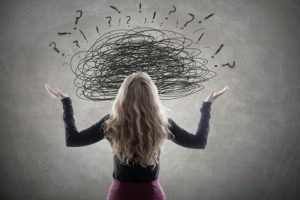 An Integration Training stress course teaches practical tools and stress management techniques such as office stretches, breathing exercises, time management, postural exercises, empathic listening and psychological reframing techniques. We cover key business skills including workload management, organisation, delegation and saying no, managing others with stress and cultural factors. Our work stress courses are all highly interactive, enjoyable and take account of different learning styles so the learning lasts. Contact us to learn how stress management can help you. Summary of stress research here. Conflict resolution training helps solve personality clashes, costly disputes between teams, departments, branches and individuals – as well as service users. This course helps with the full range of workplace conflict from minor daily hassles to to major disputes. Mediation helps the parties find their own realistic solutions by developing communications skills to build rapport, listen, probe, explore, encourage and support. To find out more about how Integration Training, Stress Management Techniques and Training, or Workplace Conflict Training can help you telephone – International or e-mail us here. Copyright © 2019 by Stress Management London.